Way Yes are a duo from Ohio who operate in a number of musical genres, and often all at the same time. To say they’re experimental would probably be a disservice. Their music works in a very conventional way and could occupy anywhere between electro, calypso, pop, (dare I say) World Music or stoner ‘Jazz’. 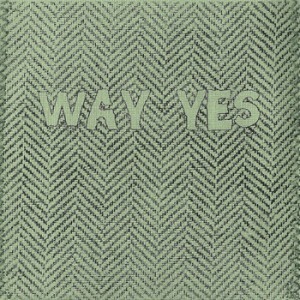 Way Yes have released two extended EPs in very quick succession, ‘Herringbone’ and ‘Walkability’. Herringbone, released in December 2010, is a very up-front record with some very clear ideas. ‘Cinnamon’ opens with calypso guitars and sunny backing, developing into throbbing bassline and what can only be described as ‘Muppet’ vocal – it actually sounds like Kermit muttering this one. At first it sounds very odd, but it’s exactly this unfamiliar territory into which Way Yes like to drop their listeners. As the track develops its many layers are unveiled, and it’s clear to see the craftsmanship that Way Yes have developed. ‘Johanna’ is a similarly paced, laid-back piece of beach rock. This is definitely music for summertime. Guitars are accurate but sound lazy, and melody is everything. 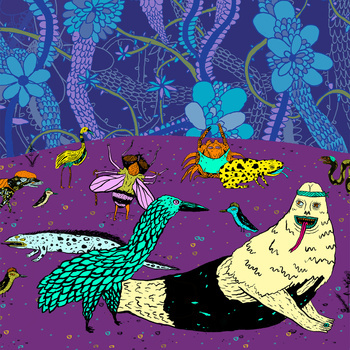 ‘Spicy Ice-Cream’ picks up on the unnerving vocal and experiments with synth and drum machine. Lyrical content is, for most tracks, inane and hilarious: ‘why did you buy spicy ice-cream, that doesn’t sound good to me’. ‘Colour Blind’ closes the EP and brings unexpected Country and Western themes played out with guitar and synth. Its downbeat chords feel like the closing theme to a crazy sitcom you didn’t mean to keep watching. It bookends the record perfectly. Walkability is released on the 25th January and is a little more laid-back, with production not as eager to please. Title track, ‘Walkability’ picks up in tempo in the same way Herringbone began. 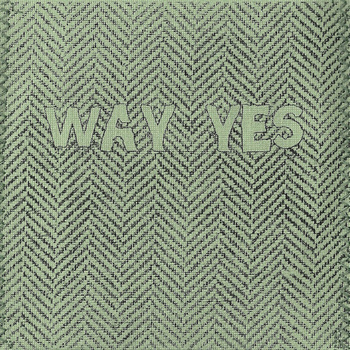 Vocals are more implied and the lazy approach reminded me of early Tapes ‘n’ Tapes – Way Yes have a similarly eclectic feel. More calypso guitars thread through this record too, although more faded and less exact. ‘Important’ shuffles in with hypnotic Animal Collective loops and brushed drumming, breaking into stoner chorus, ‘what is so important that you can’t pick up your phone’. Its charmingly naive guitar riff with electric organ accompaniment slowly builds to trumpets, tape rewinds and looped vocals – a crescendo of madness you could be happy with. ‘Singing’ brings more distance with ringing drums, pensive lazy riffs and vocal harmonies throughout. It’s borderline dream-pop. Penultimate ‘Gino’ chugs along with reverbed vocal a’ la Bear In Heaven and (you won’t believe it) cow bell. Again, hypnotic and experimental without feeling like they’re trying. Final track ‘Ties’ is probably the most interesting. The [now] trademark calypso beat plays through reverb guitar with falsetto vocal. It feels like a David Lynch film based on a sunny Caribbean island. The feeling of dread is palpable, but the underlying summer vibe is constant. Vocals are confusingly dower and at odds with the sunny beat of the tune. It’s this odd ended musical feel that Way Yes are best at. Nothing goes together, yet nothing feels out of place. It’s a sound all of their own. Accessible, but not without thought. Herringbone and Walkability are both stunning EPs and accompany each other perfectly. What one lacks the other has in spades, and it’s difficult to warm to one more than the other. Hopefully Way Yes won’t be drowned in comparisons with Vampire Weekend and MGMT due to their calypso guitars and experimentation. They are a very different band. Way Yes prove to be an eclectic duo with a sound that’s developing fast. This entry was posted in Way Yes and tagged Herringbone, Walkability, Way Yes by admin. Bookmark the permalink.